Everyone knew Stan Lee would go 'BOOM!' it was only a matter of time. 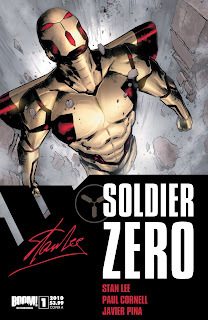 Now the three latest creations of the living legend, will debut in an all-new line of books from the red-hot publisher, overseen by both Mark Waid and Stan 'the Man' himself. space is pretty good for kicks, but what happens when the man who can go anywhen, goes one step to far? 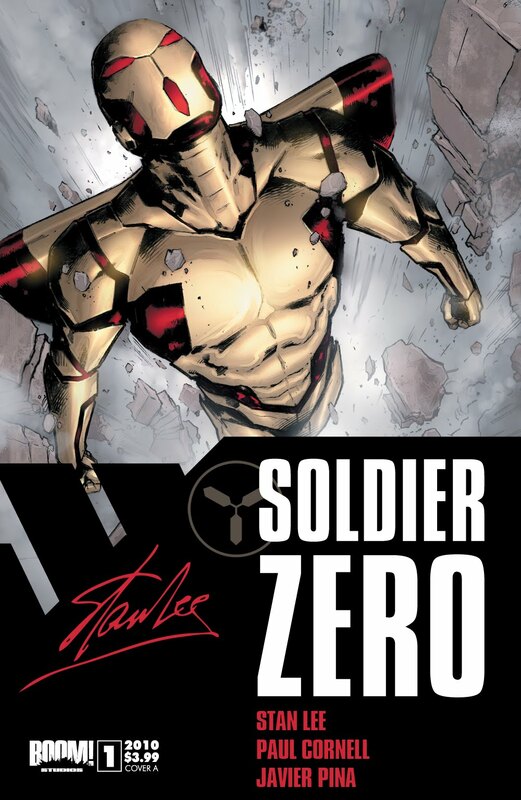 SOLDIER ZERO: Writer: Paul Cornell (A DC exclusive, but still allowed to play ball here) Artist: Javier Pina Released: October Plot: 'It's only your environment that limits you' Wheelchair bound Stewart Travers has defined that statement all his life. Now an alien symbiote gives him the chance to do the same on a galactic battlefield he never knew existed. Liking the looks of the stuff from Stan! BOOM! certainly knows how to put out some great books, I'll be checking these out. I'd vouch for that Doug - Irredeemable has been on my pull list since the beginning and it's great stuff. If these are half as good they'll definitely be onto something hot!